Fish oil is rich in two groups of Omega-3 fatty acids. Docosahexaenoic Acid (DHA) and Eicosapentaenoic Acid (EPA). These fatty acids help keep cell walls permeable. Excessive saturated fats and Omega-6’s cause cell walls to become rigid, unhealthy and don’t allow nutrient transfer. 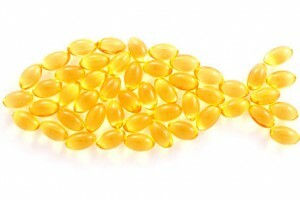 What to look for when choosing fish oil supplements? Purity: Must meet international standards for testing heavy metals. Freshness: Omega 3’s can go rancid, make sure the expiration date has not passed. Sustainability: Fish oil should come from smaller sustainable fish such as mackerel, sardines. Cost: Quality testing is expensive and the cost should be reflected in the cost of the supplement. For more nutrition and personal supplement protocols schedule a BioSignature Consultation with your trainer.